Take a QUICK TEST: Are you a target? 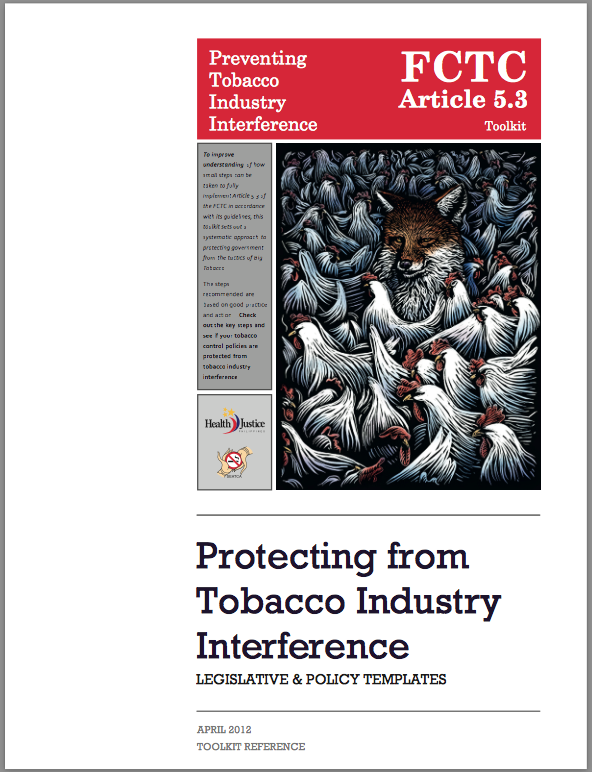 This Toolkit for Preventing Tobacco Industry Interference presents a range of issues, policy options, and considerations that each State needs to take into account when implementing Article 5.3 of the WHO FCTC. This toolkit utiliizes a basic framework to analyze what needs to be done based on the Recommendations listed in the WHO FCTC Article 5.3 Guidelines. To provide further clarification on how these recommendations came about and what their implementation would entail, this toolkit provides tools for each of the recommendations. 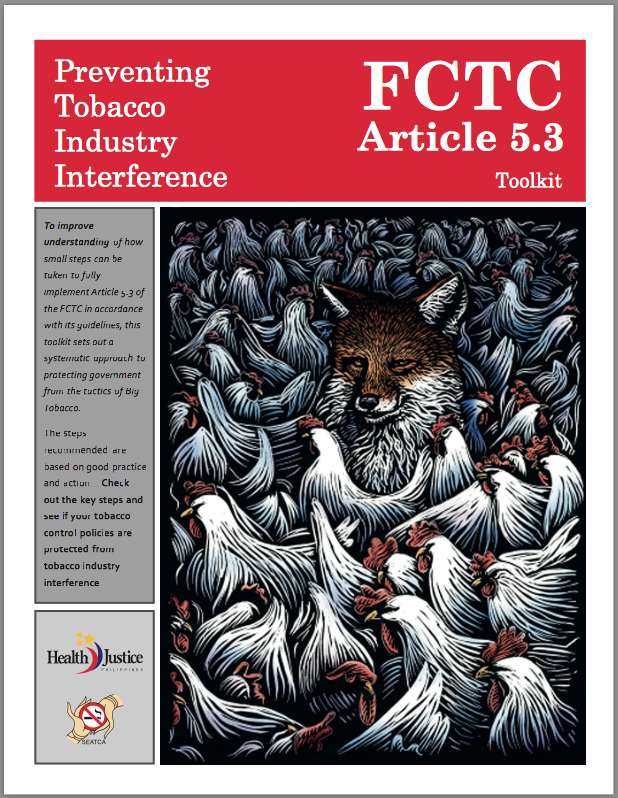 above to download the toolkit supplement that contains Article 5.3 Policy Templates.